What Causes a Cocaine Overdose? A cocaine overdose should be considered life-threatening and medical assistance should be sought immediately. Various physiological and psychological signs may be witnessed in the event of an overdose. Along with physiological signs of overdose, dangerous psychological and behavioral symptoms also occur. In the event of psychological and behavioral symptoms, the user's safety may be compromised along with others in the immediate environment. Altered perception of reality (hallucinations and/or delusions). Compromised ability to keep self and others safe. These are considered signs of a psychiatric emergency and require immediate medical attention as well. The causes of cocaine overdose vary, but chief among them is compulsive use. Compulsive use involves an overwhelming urge to use more cocaine than is intended and to use for longer periods than intended. These compulsions lead to toxicity (poisoning) during binges, a practice that is common among cocaine users. Binge use can extend over a period of days, compromising physical and psychological stability. Severe brain alterations occur along with interrupted basic needs such as for sleep, food and hydration. An abrupt and life-threatening overdose reaction can occur just after use or within minutes of use. In general, the quicker cocaine is absorbed by the body, the greater the chance of overdose. Mixing cocaine with other drugs is common and increases the risk of harmful complications, including overdose. Some with co-occurring, partially treated or untreated psychiatric conditions attempt to self-medicate with heavy cocaine use. Others suffering from chronic depression and PTSD report symptom relief when using. Also, in some cases, schizophrenia patients report relief from symptoms of the illness as well as an alleviation from some side effects of anti-psychotic medicine. All such users are at high risk for overdose. 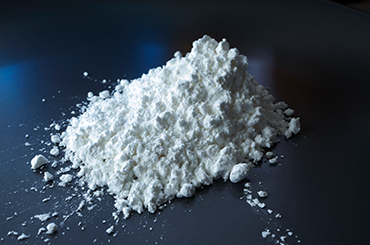 As with other drugs of addiction, the body develops a tolerance to cocaine use and creates an increasing need for more use (amount and/or frequency) to achieve the desired intoxication effects. Over time, physical tolerance for cocaine continues to progress with increased use. Overdose results when the body is unable to endure the 'needed' dose for desired intoxication effects. Therefore, it is important to address the causes of problematic cocaine use to avoid negative effects such as overdose. To evaluate your options for cocaine overdose treatment, please call us at 1-888-993-3112Who Answers? to speak to one of our experienced treatment advisors today. A cocaine overdose requires emergency medical attention through 911 or immediate access to an emergency room. Quick response can mean the difference between survival and fatality, and the prevention of serious debilitating damage. also place the user at great risk. Disorientation, psychosis, paranoia and violence can result and endanger both the user and others. Overdose victims sustain injury and are homicide victims as a result of disorganized and aggressive behavior. Emergency assistance should be sought in these cases for the victim's safety as well as that of others. Get Help Today Find a treatment center to help you with your cocaine addiction today. Mixing cocaine with other drugs (poly-drug use) is common and increases the risk of harmful complications, including overdose. This should be avoided at all costs. During intoxication, for example, users 'take the edge off' cocaine's stimulation with alcohol, but also increase the blood's content of cocaine up to 30% when drinking. Furthermore, the metabolism of cocaine in the presence of alcohol is known to result in formation of an especially cardiotoxic compound known as cocaethylene. Another dangerous combination is the 'speedball' (heroin and cocaine). Meant to ease both cocaine's stimulation and heroin's sedation, the 'speedball' components work at biological odds with one another. For example, cocaine increases the need for oxygen and heroin reduces respiration. Additionally, efforts to ease cocaine's 'crash' can involve dangerous amounts of sedatives as well as a mix of sedatives and alcohol, which has great overdose potential in itself. Sedatives ease the physical and psychological distress of panic, hallucinations, delusions and agitation. Additional types of medication may be administered to treat other pathological effects of cocaine overdose, but there is no actual 'antidote' for cocaine toxicity. Abnormal cardiac and circulatory functioning. Any of these can require extreme measures. For example, hyperthermia (high body temperature) can cause body temperatures of over 120 degrees and emergency cooling measures are needed. Some overdose victims need mechanical assistance for respiration and/or CPR and other cardiac interventions. Resuscitation efforts can be intense and prolonged. Placement of an IV line can be essential to administer sedatives and other medications, in addition to providing fluids and glucose repletion, as dehydration and blood sugar crises are a common end result of many overdose situations. Physical restraint may be necessary for the safety of the the overdose victim and others. At times, physical restraint is necessary due to a dangerous level of agitation that endangers the overdose victim and others. Constant monitoring and medical support are needed even as symptoms are reduced. Continued psychiatric treatment may be necessary, even after the physical crisis has been successfully managed. Addiction treatment is needed to prevent further use during overdose recovery. Cocaine cravings are problematic and continuing use is to be expected if recovery efforts are avoided. Psychological and physical effects of overdose may also need further treatment or follow-up. Fatigue and an overall debilitated state are to be expected in all cases. Overall decreased mental clarity and capacity. Dual diagnosis care may be needed in which both addiction and mental health issues are treated simultaneously. Long-term recovery from overdose requires individualized care so that you are able to overcome the compulsions associated with cocaine use and develop healthier alternatives to using. Assessing treatment and care options can be overwhelming, but don't worry, our compassionate treatment support advisors are available 24/7 and can help you evaluate cocaine overdose recovery and cocaine abuse treatment options that are suitable for you. Call today at 1-888-993-3112Who Answers?. Crandall, C., Vongpatanasin, W., & Victor, R. (2002;). Mechanism of Cocaine-Induced Hyperthermia in Humans. Annals of Internal Medicine. 136, 785-791. Falck, R., Russel, S., Wang, J., Siegal, H., & Carlson, R. (2004 ). The prevalence of psychiatric disorder among a community sample of crack cocaine users: an exploratory study with practical implications. Journal of Nervous and Mental Disorders, 192(7), 503-7. Gawin, F. (29 March 1991). Cocaine addiction: psychology and neurophysiology. Science Vol. 251 no. 5001, 1580-1586 . Giannini, A., Miller, N., & R.Liselle RH, e. a. (1993). Cocaine-associated violence and relationship to route of administration. Journal of Substance Abuse Treatment , 10: 67-69. Morton, W. (1999). Cocaine and Psychiatric Symptoms. Journal of Clinical Psychiatry, 109-113. H., Egilmezb, Y., & Emmett-Oglesbyb, M. (March 1997 Volume 84, Issues 1-2). Neural mechanisms of tolerance to the effects of cocaine. Behavioural Brain Research, 225-239. Rocio, M., Carrera, A., Trigo, J., Wirsching, P., Roberts, A., & Janda, K. (2005). Evaluation of the anticocaine monoclonal antibody GNC92H2 as an immunotherapy for cocaine overdose. Pharmacology Biochemistry and Behavior, 81(4), 709-714. Ruttenber, A., Lawler-Heavner, J., Yin, M., Wetli, C., Hearn, W., & Mash, D. (1997). Fatal excited delirium following cocaine use: epidemiologic findings provide new evidence for mechanisms of cocaine toxicity. Journal of Forensic Sciences, 42(1), 25-31. Woolverton, W., & Johnson, K. (May 1992). Neurobiology of cocaine abuse. Trends Pharmacological Sciences, 13(5):193-200. Yanofski, J. (2011). The Dopamine Dilemma--Part II. Could Stimulants Cause Tolerance, Dependence, and Paradoxical Decompensation? Innovations in Clinical Neuroscience, 47-53.